Apparently, the kind Mother Nature makes babies of all species look super-cute and adorable, as to protect the young and vulnerable from becoming prey to stronger animals. It seems though that in the case of grizzly bears Mother Nature failed a bit, as the biggest threat to young grizzly cubs are adult grizzlies. 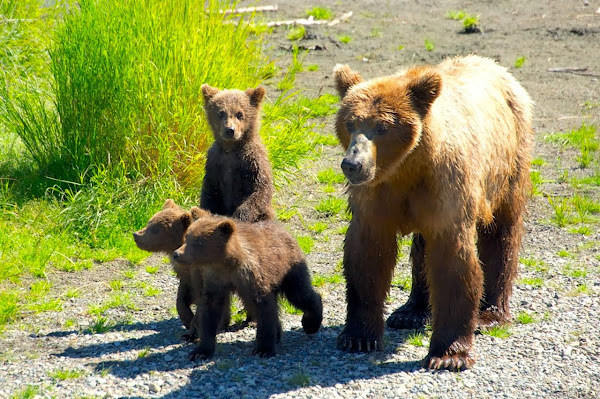 In the photo below, three cubs and their mom are alertly surveying the behavior of a nearby alpha grizzly bear, ready to flee at his slightest movement in their direction.